Trying to find a good way to clamp the work piece without using hold down clamps. I came up with the solution below that seems to work well. Got a 5 1/2 in piece of board and ripped it in half and cut it approx. 33 inches long. Then I got some rubberized kitchen cabinet drawer liner and glued it to the front edge of each piece. Drilled holes near the back of each board to match up with the T-Track. Now simply slide the first piece onto the T-Track and square it with the front of the XL machine. Lay your work piece against it and slide the second piece on the T-Track. Push it against the work piece and tighten the clamps. The work piece will not move front to back because it is clamped between the boards and will not slide left to right because of the rubberized liner. Did you consider ripping the boards at a slight angle so as to allow the angle to help with the clamping? That might help. Good idea. Might have to make some tweaks to the design. 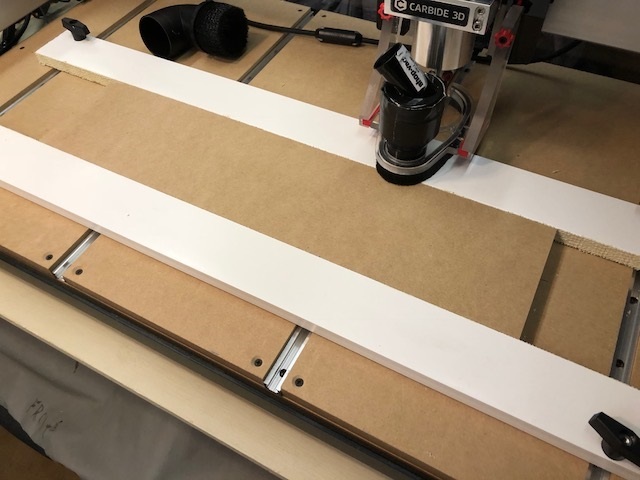 Make the boards a little wider to make sure the cutter will go all the way to the back of the project if needed on wider projects. Also make sure the cutter is somewhere near the back of the machine to assure it doesn’t hit the knobs when homing. One thing that might be good as well is to have a bow on the edge of one of the pieces (Called a caul). When I’m clamping a panel, I have boards that are 1/8" narrower at either end than it is in the middle, over a 36" board. When you clamp the ends of the board it applies more pressure in the middle, whereas if it was just straight there middle would flex and provide less clamping pressure than is on the ends. Good idea. 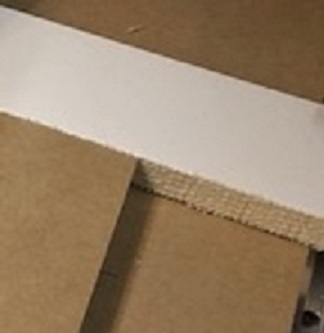 Another fix would be to put several layers of the rubberized drawer liner on the edge of the board to make up for any run out in the edge of the board. Or find some thicker rubberized material to glue on the edge of the boards. 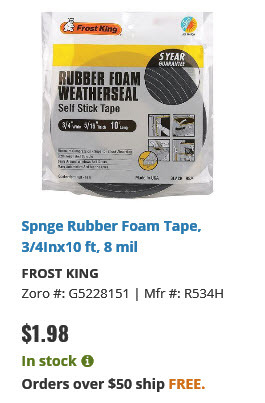 Maybe use some 3/4 inch rubber foam weather stripping instead of the rubberized draw liner.